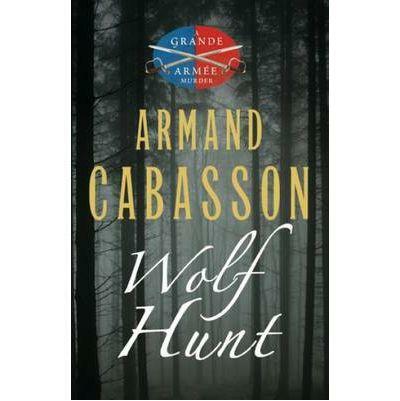 I recently finished the second installment of Armand Cabasson's Grande Armee murder-mystery trilogy, Wolf Hunt (ISBN 13: 9781906040086). While I enjoyed it, I found that it didn't grab me as much as the first book reviewed earlier in this blog. I'm not sure if it's because the novelty of the setting is no longer new, or if I had more problems with the plot in this one, or a bit of both. 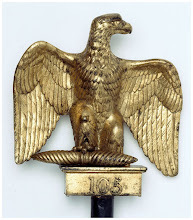 This story is a prequel to the first as it's set during the 1809 Danube campaign and opens during the battle of Aspern-Essling. Our hero Captain Margont and his friends survive the battle, although Margont is wounded. While convalescing on the Isle of Lobau, he meets an Austrian woman looking for a missing orphan boy, who turns out to have been murdered. Margont is compelled to help her due to an instant attraction that has to do with issues from his past as well as the usual boy meets girl stuff. 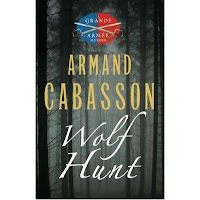 An earlier near-victim of the murderer, now a French hussar and expert swordsman, sworn to fight against the society that so cruelly abandoned justice for him and his murdered friend, joins Margont in the investigation, til Wagram intervenes. 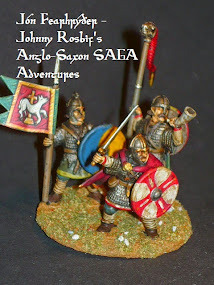 I found the ease with which Margont abandons his duties as company commander not that convincing. In the first book at least he was authorised by Eugene de Beauharnais to investigate the crimes and therefore had a legitimate excuse; In this book he's just fulfilling a personal obligation. Also, whereas in the first book the descriptions of the characters' psychological states were compelling, in this book it seemed too forced. Why would a mere captain of infantry be so perceptive to other characters' mental states in a period well before psychology had even been thought of? The unmasking of the murderer was almost perfunctory and for a book that focuses so heavily on characters' internal workings, the motive was hardly touched on, leaving him a fairly two dimensional character. On the other hand, the macho, bragging, devil-may-care world of the hussar was well covered with the hussar character's skill with the blade becoming a flame that the moths couldn't resist. He had to fight several duels with other hussars who had heard of his skills and needed to test their own skills against his. Any hesitation on his part would have been interpreted as cowardice, and even though all his energy was focussed on the unmasking of his tormentor, he was compelled to accept each challenge as it was issued. Not as satisfactory as the first book, but still enjoyable.